CLEAN HISTORY & NO ACCIDENTS, AWD. Included with our Pre-Owned Promise you will received: * 12 Months or 12k mile Wearable Item Coverage * 6 Months or 6k mile Major Item Coverage * Love or Leave it Promise with 3 Day Refunds or 30 Day Exchanges * 12 Months of Roadside Assistance and much more!! Click her for complete details http://www.hoselton.com/about-us/hoselton-preowned-promise/ Awards: * 2014 KBB.com 10 Best SUVs Under $25,000 * 2014 KBB.com Brand Image Awards Please call us @ (585) 662-2670 with any questions and to check availability. AWD, 2nd Row 40/60 Tilt & Slide Seat, 3rd Row 50/50 Fold/Reclining Seat, Air Conditioning w/3-Zone Temperature Control, Automatic Headlamps, Delete Cargo Compartment Cover, Easy Entry System Seat, Flexible Seating Group, GVWR: 5,600 lbs w/Flexible Seating Group, Heated Front Seats, Heated Steering Wheel, Popular Equipment Group, Rear Air Conditioning w/Heater, Remote Start System, Security Alarm, Universal Garage Door Opener. Included with our Pre-Owned Promise you will received: * 12 Months or 12k mile Wearable Item Coverage * 6 Months or 6k mile Major Item Coverage * Love or Leave it Promise with 3 Day Refunds or 30 Day Exchanges * 12 Months of Roadside Assistance and much more!! 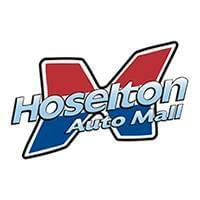 Click her for complete details http://www.hoselton.com/about-us/hoselton-preowned-promise/ Awards: * 2014 KBB.com 10 Most Affordable SUVs * 2014 KBB.com 10 Most Affordable 3-Row Vehicles Please call us @ (585) 662-2670 with any questions and to check availability. BLUETOOTH, BACK UP CAMERA, ALLOYS, POWER SEAT, HEATED SEATS. Included with our Pre-Owned Promise you will received: * 12 Months or 12k mile Wearable Item Coverage * 6 Months or 6k mile Major Item Coverage * Love or Leave it Promise with 3 Day Refunds or 30 Day Exchanges * 12 Months of Roadside Assistance and much more!! Click her for complete details http://www.hoselton.com/about-us/hoselton-preowned-promise/ Awards: * 2015 KBB.com Best Buy Awards * 2015 KBB.com 5-Year Cost to Own Awards * 2015 KBB.com 15 Best Family Cars Please call us @ (585) 662-2670 with any questions and to check availability.